Maintaining a tradition of quality service is the top priority of Grace Funeral Chapels, formerly Heritage Funeral Home in Victoria, Texas. They have a knowledgeable, professional staff ready to comfort and guide families through this difficult time. 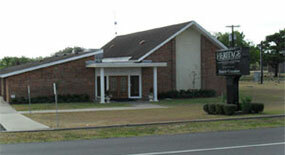 Grace Funeral Chapel at Memory Gardens offers a complete range of services to Victoria, TX, from full funeral services to cremations and memorial services, and they are experienced in honoring many faiths and customs. They invite you to contact them with your questions or schedule a visit at any time. It is the goal of Grace Funeral Chapel at Memory Garden to support you through every step of your arrangements and to pay tribute to the special memory of your loved one. We have a knowledgeable staff of experienced florists ready to assist you in selecting funeral flowers in Victoria, Texas. We handle your order with the utmost care and ensure prompt delivery of a beautiful floral tribute to the funeral homes in Victoria, Texas. Sympathy flowers are a living memorial to a deceased loved one - their natural beauty brings serenity and hope to all who see them. Sending a floral tribute to the funeral service is a compassionate gesture so dearly needed right now, during the initial period of grief and loss. You will never be forgotten for this simple, caring gesture. We are committed to helping you express your sentiments with a beautiful personalized sympathy tribute. This includes your personal message of condolence on a sympathy card that is displayed for all to read throughout the visitation and funeral service. Don't miss the final opportunity to honor a precious life... and bring some hope of healing to grieving family and friends. 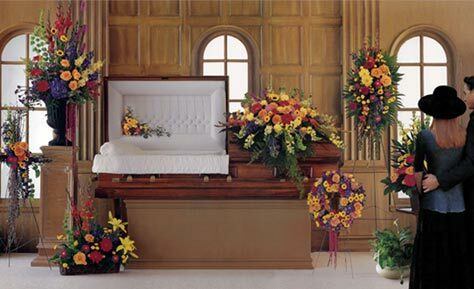 Order Now to ensure timely delivery to the funeral services. Send flowers to share your condolences and honor their life.